In spite of repeated attempts to secure a presidential pardon from outgoing President Obama, Army Sergeant Bowe Bergdahl was unsuccessful, as a court martial he faces on charges of desertion and endangering his fellow troops continues. Bergdahl was deployed to Afghanistan in 2009, and a month later vanished from his post. He resurfaced as a captive of the Taliban, and five years later was traded for five high-value Taliban prisoners. A military investigation suggested that Bergdahl deserted his post, which led to his capture. Testimony from soldiers involved in the operations to rescue Bergdahl claimed that "at least" six soldiers were killed in the attempts. Major General Kenneth Dahl, who headed the investigation into Bergdahl's alleged misconduct, testified that there was no evidence that soldiers had died directly because of the attempts to rescue Bergdahl. According to Bergdahl's attorney Eugene Fidell, a motion was filed to pardon Bergdahl on the grounds of comments made by President Donald Trump on the campaign trail. Trump called Bergdahl a "dirty, rotten traitor" and pantomimed a firing squad executing him. "We get a traitor… who by the way, six young beautiful people were killed trying to find him… and [the Taliban] get the people they most wanted… five killers who are now back on the battlefield." On a different occasion Trump said Bergdahl was "a traitor, a no-good traitor who should have been executed… thirty years ago, he would have been shot." Based on these comments made by the new President, Fidell argued that it was impossible for Bergdahl to receive "the due process right to a fair trial." However, Obama did not authorize the pardon, and the court martial will, in all likelihood, proceed in February 2017. With 1,715 pardons and commutations, former US President Barack Obama pardoned more people than any president since Harry Truman. Reports show that 617 of those sentence reductions came after the election of Donald Trump in November 2016. Bergdahl's desertion charge carries a maximum five-year stay in a military prison, but the second charge is more serious. 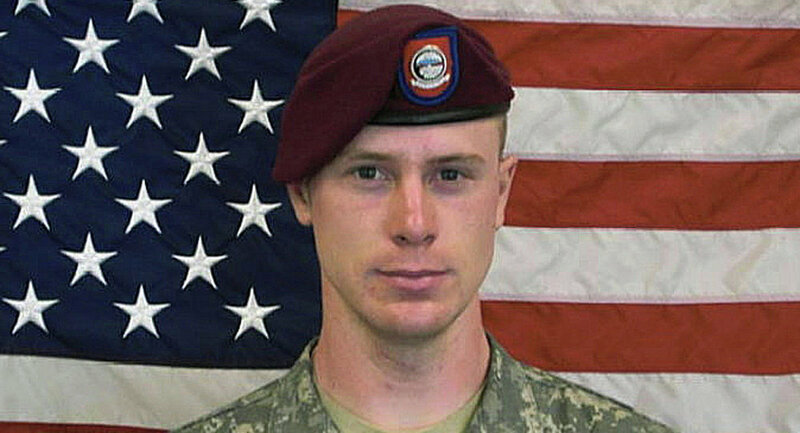 Endangering his fellow troops is referred to as "misbehavior before the enemy" and carries a potential life sentence.